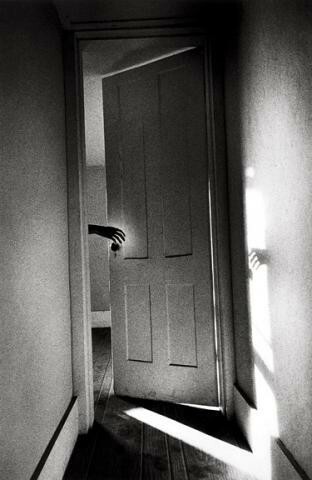 Today’s image of the day is called Hand on Door from the Som­nam­bu­list series by mas­ter fine art Amer­i­can pho­tog­ra­pher Ralph Gib­son; it was shot in 1968. Many of Gibson’s most famous pho­tographs are high con­trast images, and this high con­trast has become part of his sig­na­ture style. Gibson’s pho­tographs were cre­ated through metic­u­lous film devel­op­ing (by Gib­son him­self) and printing. What attracts me to this and many other Gib­son images is the strong sense of story and the very strik­ing graphic qual­ity of the image. 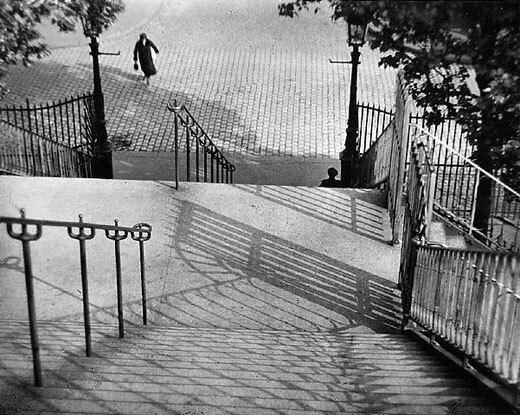 Today’s image of the day is called Stairs of Mont­martre, Paris by the late mas­ter Hun­gar­ian pho­tog­ra­pher Andre Kertesz, and it was shot in 1925. 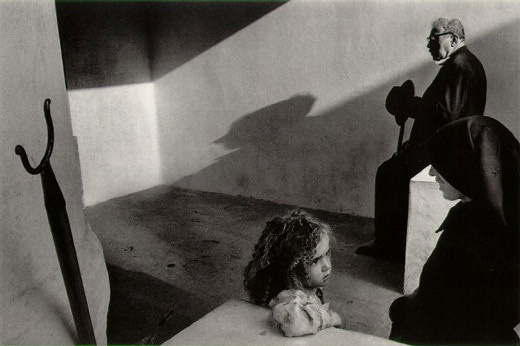 Kertesz is one of my all time favorite pho­tog­ra­phers and more of his work will surely be fea­tured in the future. 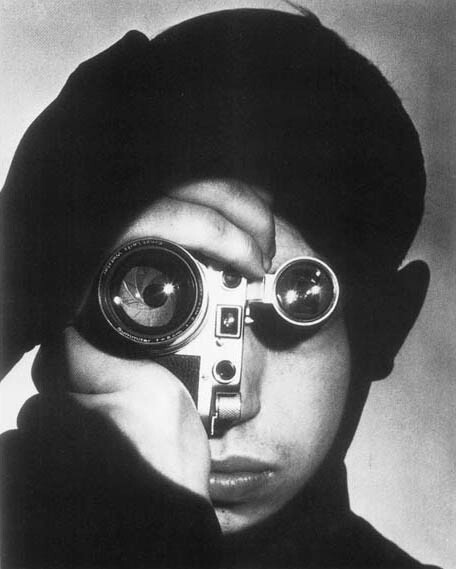 What makes this, and tons of other Kertesz images fan­tas­tic is the pre­cise and delib­er­ate com­po­si­tion. 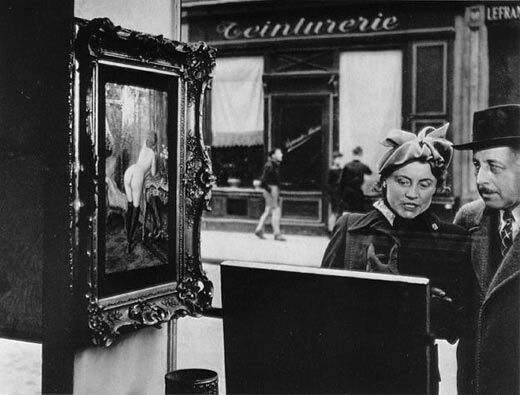 Kertesz was sim­ply a mas­ter at guid­ing your eye to inter­est­ing places in the pho­to­graph. The shapes of the shad­ows and the posi­tion of the rail­ings are both delight­ful to look at and they guide your eye per­fectly toward the humans in the photo. 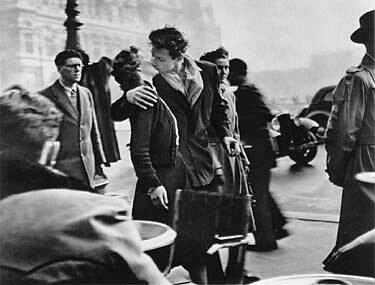 Kertesz was also keenly aware of all planes of focus in an image and how they work together. The con­nec­tion between the fore­ground, midground and the back­ground ele­ments of this image helps to sug­gest a story as well as make the image graph­i­cally striking. The Vin­tage photo of the day is Rayo­g­ra­phy [Kiss] and was taken by Man Ray in 1922. Man Ray is well known for his pho­to­graphic exper­i­men­ta­tion and for being an “avant-garde” pho­tog­ra­pher in Paris in the Twen­ties and Thir­ties. He also exper­i­mented in sev­eral other dis­ci­plines includ­ing paint­ing an sculpture. The image above is a pho­togram which means it was taken with­out a cam­era. Faces and hands were placed over pho­to­graphic paper and exposed to light. 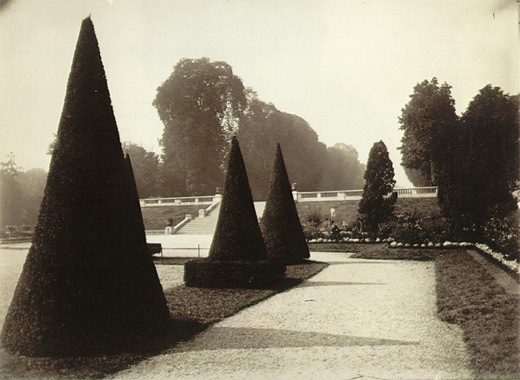 Man Ray pre­ferred to call the pho­tograms he cre­ated Rayo­graphs (after himself). 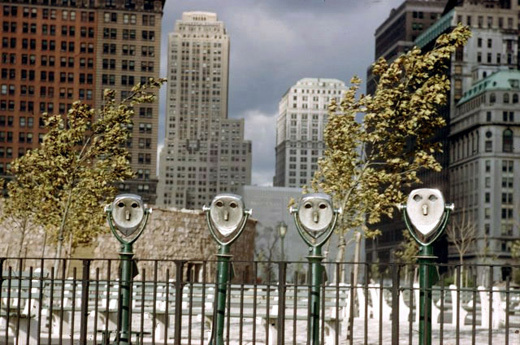 Today’s vin­tage photo of the day is called The Pho­to­jour­nal­ist by Andreas Feininger and was taken in 1951. It has become an iconic por­trait and the sub­ject is pho­to­jour­nal­ist David Stock who won a pho­to­jour­nal­ism com­pe­ti­tion. Feininger shot the image‚for Life Mag­a­zine where he worked for decades. Feininger is per­haps best known for his‚architectural‚ and street shots of New York City in the for­ties and fifties. This por­trait does not rep­re­sent Feininger’s aver­age sub­ject mat­ter and yet it is amongst his most famous pho­tographs for many good reasons. What draws us to this pho­to­graph is obvi­ously the unique way it’s pre­sented. The Leica cam­era is turned to one side so that the lens and viewfinder act as the subject’s eyes. Both lenses have spec­u­lar high­lights which mimic the catch­lights seen in por­traits. In addi­tion, the image is beau­ti­fully printed with rich blacks and whites with detail. The eye is skill­fully guided to the focal points (lens and viewfinder) in this image, likely through selec­tive dodg­ing and burn­ing (selec­tive dark­en­ing and light­en­ing of spe­cific parts of the image). It’s the com­bi­na­tion of tech­ni­cal skill and well thought out com­po­si­tion that make this image superb.